Daylight savings is that interesting convention that always catches people out. “Is this the good way or the bad way?” And it ends this Sunday! We know that we change the clocks, but why? Why doesn’t everyone do it? Why do some places do it at different times? Daylight saving time (DST) happens in the summertime in certain countries and states. The clocks move forward by one hour, making sunrise one hour later, but giving more hours of daylight in the evening. 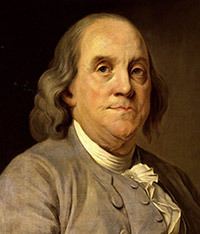 A vague concept of daylight savings was proposed way back in 1784 by Benjamin Franklin. He suggested that it would help people make more use of daylight hours, thus saving on candles! George Hudson, a Kiwi, then proposed daylight savings in 1895, and in 1916 the German Empire and Austria-Hungary actually implemented it. Since then, lots of places have used daylight savings on and off. In Australia, some states and territories use DST, but others don’t. During the two world wars, all states and territories observed DST. Then they all stopped. Tasmania (TAS) was the first place to reinstate it, in 1968, followed by Victoria (VIC), New South Wales (NSW), Queensland (QLD), South Australia (SA) and the Australian Capital Territory (ACT), all in 1971. A year later Queensland gave it up again. Since 1972, Queensland and Western Australia (WA) have observed DST on and off. Currently neither state has it, nor does the Northern Territory (NT). However, opinions are divided and many people lobby for daylight savings to be reintroduced. 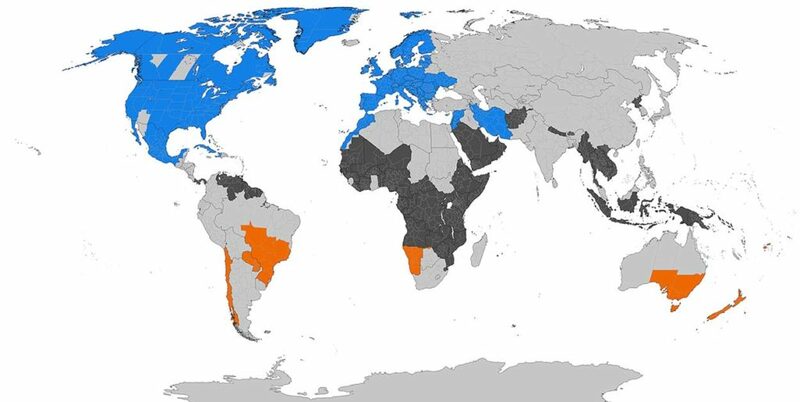 A map showing places that currently observe DST (blue, northern hemisphere, orange, southern hemisphere), don’t currently observe DST (light grey), and never observed DST (dark grey). Click to enlarge. Why is there this divide? DST is designed to get people up and out earlier in the day, and then able to enjoy more sunlight hours in the evening, during the summer months. The closer a place is to the equator, the less the daylight hours change between seasons. Therefore, the benefit of DST diminishes in northern Australia. This divide between states means that in winter time (Standard Time), Australia has three time zones: Western, Central and Eastern standard times. However, in summer, i.e., when daylight savings is in effect, three becomes five: Western (WA), Central (NT), Central Daylight Time (SA), Eastern (QLD), Eastern Daylight Time (VIC, NSW, TAS, ACT). Phew! So, don’t forget! This Sunday (April 2nd) is the end of DST. At 3am the clocks will go backwards one hour, to 2am. Then you don’t have to worry about it again until October. The featured image is borrowed and edited, with thanks, from Giggling Gigi under a Creative Commons licence.The image of Benjamin Franklin is in the public domain. The world map is borrowed and edited, with thanks, from TimeZonesBoy under a Creative Commons licence.